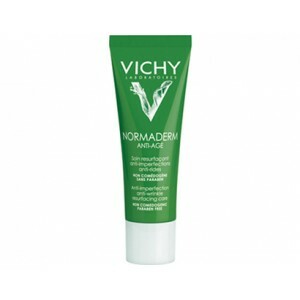 Normaderm Anti-Aging solves 2 problems with one solution. To fight imperfections, 2 active ingredients (LHA+Glycolic Acid) have proven their efficacy in dermatology. These ingredients work to gently exfoliate the skin, unclog pores while also helping cell renewal. To fight the signs of aging, Vitamin Cg is well known for its anti-aging, anti-oxidative and firming properties. 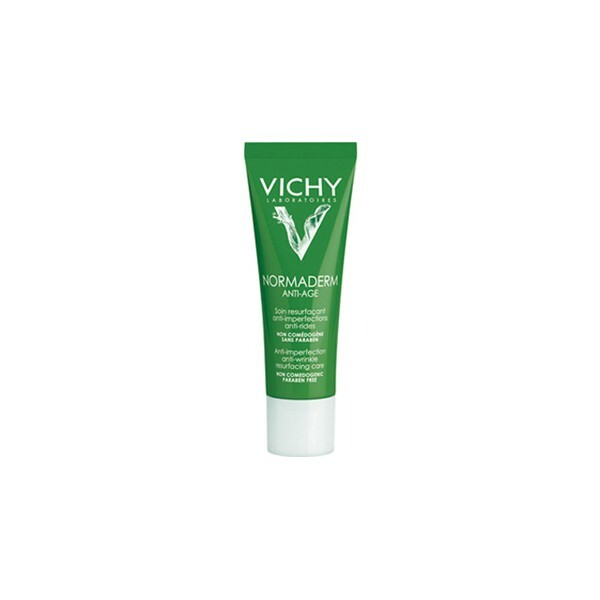 Normaderm Anti-Aging contains glycosylated Vitamin C (Glucoside Ascorbyl), which offers a double-wrinkle action on luminous and even complexion. Unique gel cream texture: Fresh as a gel, moisturizing as a cream. Texture itself makes skin smoother. Suitable for sensitive skin . Allergy tested. Paraben free. Non-comedogenic.